We have been waiting to see what Google has up its sleeve for the next version of Android. Now the wait is over, the Android P Developer Preview is officially here! This version of Android won’t mark a complete overhaul as a whole, but will include a myriad of new features. Many of these features are on the developer side, but there are a few that you may want to take note of. The first of which comes with dedicated developer support for “Display cutout support”. In other words, Android now supports “the notch”. Developers are now able to develop their apps for notch support. This will allow information to be placed on either side of the included notch. 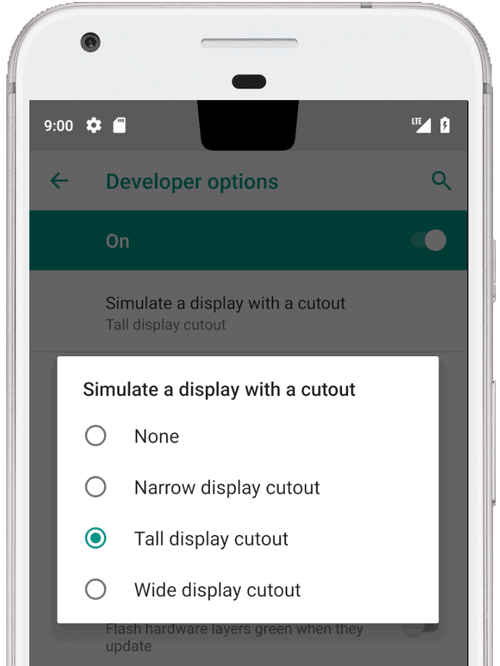 Additionally, developers will also be able to tune their apps for either ‘Tall, Narrow, or Wide’ cutouts. Over the past few weeks, we have been seeing Google test out new Smart Reply features. This was available via a standalone app, but Android P is likely to bring these features to everyone. 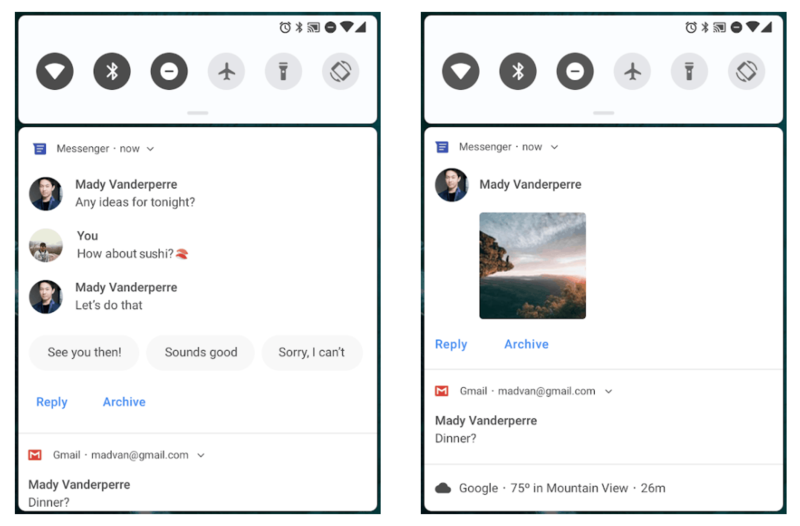 This means that a new notification style is being included with Android P. You’ll be able to view whole conversations and offer quick replies, all from the notification shade. More and more devices have been released with dual-camera setups, and Google is taking advantage. Android P also introduces a new multi-camera API. This API will improve the capabilities of dual-camera setups, regardless of whether they are selfies or rear-facing. Finally, the API also opens the door for applications to use logical or fused camera streams. This will automatically switch between cameras to create the best experience possible. Introduced in Android Oreo, system-wide autofill has been a much-needed feature. With Android P, Google is continuing to improve Autofill. The company is updating the Autofill framework while including a Compatibility Mode. This will allow password managers to use Accessibility features for apps that don’t support Autofill. The short answer – yes. The first developer preview for Android P is now available for download. However, this is designed specifically for developers and will come with bugs and issues. This is why we would actually recommend holding off on downloading this beta. We are likely to see Google release the Android P public beta in the next few weeks. For those who want to still download it, you can head over to the Android Developer Page. Then, you will want to download the necessary files before flashing them on your current Pixel device. Developers can also install the Android P on their computers today. This allows users to jump on the train now and get to work.